$684 per square foot! Exceptional value at Victoria's newest concrete development, the Encore by Bosa! 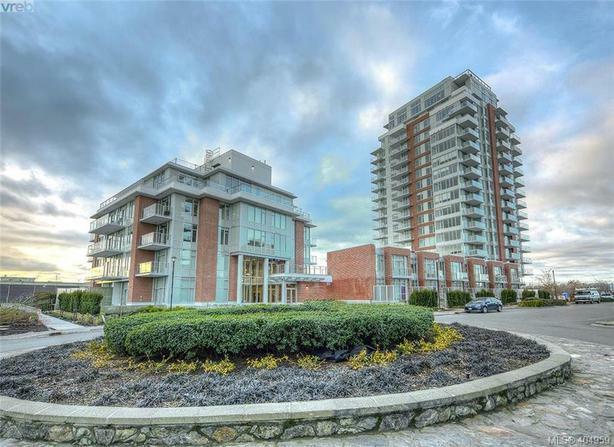 Brand new 2 bed 2 bath 1,141 sq/ft condo perched in one of Victoria's premier neighbourhood, prestigious Bayview, a 20 acre master planned community. Excellent SOUTHERN exposure with a variety of views that encapsulate Victoria such as it's world famous inner harbour and the Olympic Mountains. Look out to the West and you'll see Sooke Hills, an off-leash dog park, and your buildings incredible common outdoor pool. The unit itself features luxury furnishings, spa inspired bathrooms, kitchens include a high-end stainless appliance package and gas range. A generous floor plan with a large open kitchen, living, dining space and two good size bedrooms complete this home. This fantastic building is brimming with amenities, such as on-sight fitness facility, concierge, lounge, outdoor pool and secure bike storage, storage locker, underground parking spot and guest parking. Sellers: List on MLS® from $899+GST.